The FijiFirst party bet on the popularity of leader Voreqe Bainimarama and his reforms and the voters responded. In fact, 40.7 per cent of voters who turned out on September 17 and pre-polled voted for the Prime Minister. It’s the kind of figure leaders dream of. The FijiFirst party garnered 59.20 per cent of the total vote. That’s a landslide. In fact, that’s hitting the stratosphere compared to another recent ‘landslide’ victory. New Zealand leader John Key returned with a ‘massive’ 48 per cent of total votes cast for his National Party in recent polls. In fact, the New Zealand media describe how the extent of Key’s victory now leaves him free to lead without the help of former coalition partners, ACT and United Future. 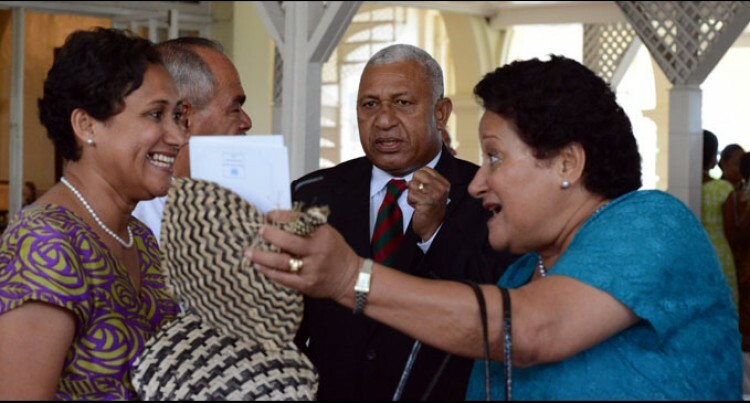 So is Mr Bainimarama Fiji’s most popular Prime Minister? The statistics certainly suggest it. It would be fair to say that not since Independence has a leader appealed to the widest cross-section of voters. Even detractors like Victor Lal and Dr Wadan Narsey would have to admit that. The Prime Minister had a few withering comments about turncoats who promised to vote for FijiFirst. His frustration was understandable. It’s his style of leadership – ‘either you’re with me or you’re against me.’ Abrasive leadership styles rub a lot of people the wrong way, but they create momentum and get things done. However, he has publicly mellowed since he took over the reins of Government in 2006. The Prime Minister now has to contend with an opposition expected to be vociferous in its approach to parliamentary and government matters. The Social Democratic Liberal Party (SODELPA) claimed 28.2 per cent of the total votes cast. That’s 139,857 voters who believe in the party’s jingoistic form of politics. SODELPA makes no bones about what they intend to do over the next four years – fight for iTaukei rights, even though the Prime Minister insists the 2013 Constitution guarantees all iTaukei rights and privileges. The National Federation Party will provide some moderation and intellectual rigour in parliamentary debates. One still remembers the sight of Dr Wadan Narsey of the National Federation Party (NFP) dissecting the budgetary submissions of Jim Ah Koy, then Finance Minister for the Soqosoqo Vakavulewa ni Taukei (SVT) in the 1990s. Party leader Dr Biman Prasad is expected to also do the same. The National Federation Party is Lazarus resurrected from the dead, to use a biblical analogy. Party leader Dr Prasad intends to maximise the mandate given to him by 27,066 voters around Fiji. In fact, given the huge mandate given to the Prime Minister Voreqe Bainimarama, we expect nothing less than the best of services for the next four years. It’s the mantra of the party, Fiji first, always.